The Craw Father is the offer that no bass can refuse. This craw bait has subtle thumping action in the claws when moved through the water. 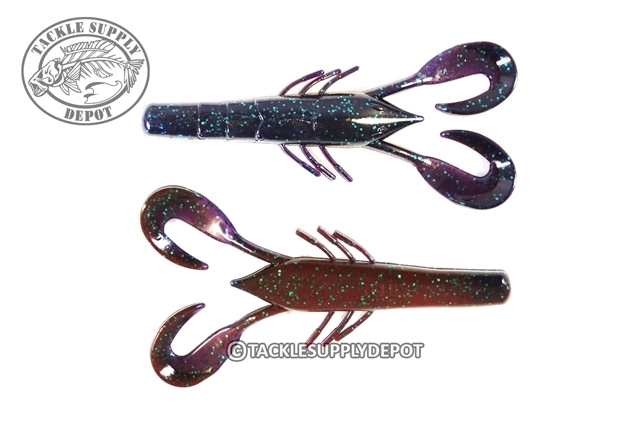 The Craw Father can be used many ways with popular techniques such as on a Texas rig, on the back of a jig, on a Carolina rig, on a Chatter Bait, or punched through the thickest cover. The body can handle a big flipping hook but is not too bulky for finesse tactics. Fish the Craw Father and get the message so you can catch the fishes.